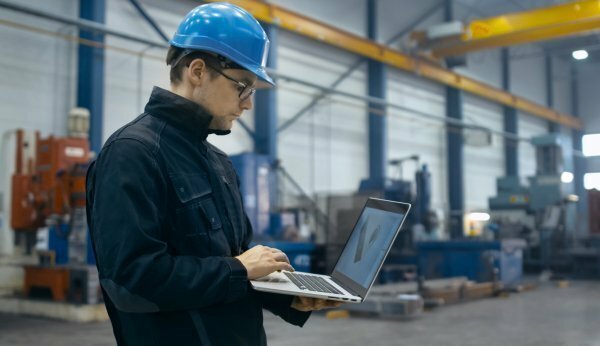 Microsoft Corporation and the BMW Group has announced a new community initiative to enable faster, more cost-effective innovation in the manufacturing sector. 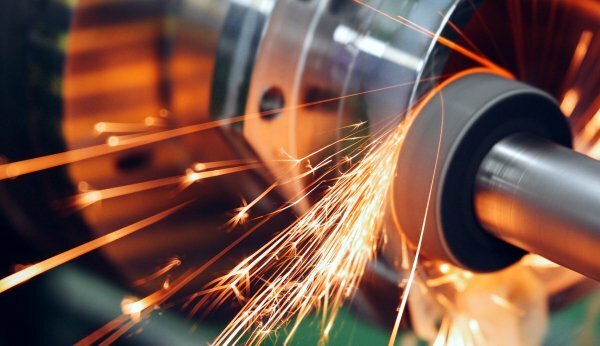 In manufacturing today, production and profitability can be hindered by complex, proprietary systems that create data silos and slow productivity. The Open Manufacturing Platform (OMP) is designed to break down these barriers through the creation of an open technology framework and cross-industry community. The initiative is expected to support the development of smart factory solutions that will be shared by OMP participants across the automotive and broader manufacturing sectors. The goal is to significantly accelerate future industrial IoT developments, shorten time to value and drive production efficiencies while addressing common industrial challenges. Built on the Microsoft Azure industrial IoT cloud platform, the OMP is intended to provide community members with a reference architecture with open source components based on open industrial standards and an open data model. In addition to facilitating collaboration, this platform approach is designed to unlock and standardise data models that enable analytics and machine learning scenarios — data that has traditionally been managed in proprietary systems. Utilising industrial use cases and sample code, community members and other partners will have the capability to develop their own services and solutions while maintaining control over their data. 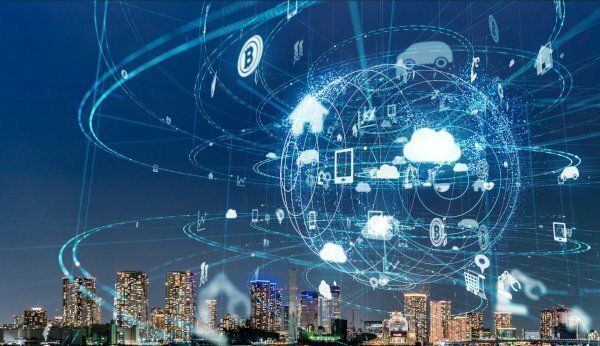 With currently over 3,000 machines, robots and autonomous transport systems connected with the BMW Group IoT platform, which is built on Microsoft Azure’s cloud, IoT and AI capabilities, the BMW Group plans to contribute relevant initial use cases to the OMP community. In the future, use cases—such as digital feedback loops, digital supply chain management and predictive maintenance—will be made available and, in fact, developed further within the OMP community. Graphic showing various components involved with the Open Manufacturing Platform The OMP is the next evolution in the BMW Group’s and Microsoft’s long-standing technology partnership and mutual commitment to innovation and creating industry-wide opportunities for collective success. Through the OMP, community members will have greater opportunities to unlock the potential of their data, allowing them to build and integrate industrial solutions more quickly and securely and, in turn, benefit from contributing to and learning from other organisations. As the sector transforms itself, will the automobile keep its soul? Article by Paul Gao, Russell Hensley, and Andreas Zielke, McKinsey & Company. Over the past 50 years, automobiles have continued to be our “freedom machines”, a means of both transportation and personal expression. Even so, as the industry recognised, the automobile is but one element of a mobility system – an element governed by extensive regulations, constrained by a need for fuel, and dependent on a network of roadways and parking spaces. Automobiles are also a force for change. Over the past half century, their very success has generated pollution and congestion while straining the supply of global resources. The rapid surge of emerging markets has heightened these dynamics. Even more transformative change is on the way. Global competitive intensity will rise as Chinese players expand from their vast domestic market. Governments are examining the entire automotive value chain and beyond with an eye toward addressing externalities. 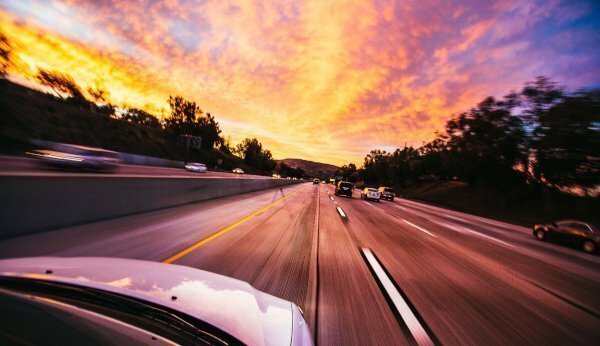 Technological advances – including interactive safety systems, vehicle connectivity, and, ultimately, self-driving cars – will change the game. The automobile, mechanical to its soul, will need to compete in a digital world, and that will demand new expertise and attract new competitors from outside the industry. As value chains shift and data eclipses horsepower, the industry’s basic business model could be transformed. Indeed, the very concept of cars as autonomous freedom machines may shift markedly over the next 50 years. As mobility systems gain prominence, and vehicles are programmed to drive themselves, can the soul of the car endure? This is just one of the difficult questions that confront the automotive industry as a result of the forces described in this article. Fifty years of innovations in horsepower, safety, and rider amenities have helped automobile sales grow by an average annual rate of three percent since 1964. This is roughly double the rate of global population growth over the same period and makes for a planet with over one billion vehicles on its roads. For the past 20 years, though, sales in North America, Europe, and Japan have been relatively flat. Growth has come from emerging markets – much of it in China, which over the past decade has seen auto sales almost triple, from slightly less than 8.5 million cars and trucks sold in 2004 to, estimates suggest, about 25 million in 2014. IHS Automotive predicts that more than 30 million vehicles a year will be sold in China by 2020, up from nearly 22 million in 2013. For decades, Japanese, North American, and European OEMs formed a triad that, at its height, produced an overwhelming majority of the world’s automobiles. The growth of Chinese players is changing the equation – and things are moving fast. Ten years ago, only one Chinese OEM, Shanghai Automotive Industry Corporation, made the Fortune Global 500. The 2014 list has six Chinese automakers. Given surging local demand, the Chinese may just be getting started. More recently, the automobile’s success has strained infrastructure and the environment, especially as urbanisation has accelerated. Brown haze, gridlock, and a shortage of parking now affect many urban areas in China, as they do in other cities around the world. Municipalities have begun to push back: Mexico City’s Hoy No Circula (“no-drive days”) programme uses the license-plate numbers of vehicles to ration the number of days when they may be used, and dozens of cities across Europe have already established low-emission zones to restrict vehicles with internal-combustion engines. China too is acting. Influenced by its dependence on foreign oil and by urban-pollution concerns, the government has indicated that it favours electric vehicles, even though burning domestic coal to power them can leave a larger carbon footprint. In Beijing, a driver wishing to purchase a vehicle with an internal-combustion engine must first enter a lottery and can wait two years before receiving a license plate. Licenses are much easier to get for people who buy state-approved electric vehicles. Regulation would also create new opportunities beyond traditional industry competencies. For example, some automakers are investigating potential plays across the value chain – such as developing alternative fuels or investing in wind farms to generate power for electric vehicles – to offset the emissions created by the vehicles they sell. In any event, the automotive industry should expect to remain under regulatory scrutiny, and future emissions standards will probably require OEMs to adopt some form of electrified vehicle. Indeed, we believe that regulatory pressures, technology advances, and the preferences of many consumers make the end of the internal-combustion engine’s dominance more a matter of “when” than of “if”. The interplay of those forces will ultimately determine whether range-extended electric vehicles, battery electric vehicles, or fuel-cell electric vehicles prevail. The car of the future will be connected – able not only to monitor, in real time, its own working parts and the safety of conditions around it but also to communicate with other vehicles and with an increasingly intelligent roadway infrastructure. These features will be must-haves for all cars, which will become less like metal boxes and more like integrators of multiple technologies, productive data centres – and, ultimately, components of a larger mobility network. As every vehicle becomes a source for receiving and transmitting bits of information over millions of iterations, safety and efficiency should improve and automakers should be in a position to capture valuable data. Electronic innovations have accounted for the overwhelming majority of advances in modern vehicles. Today’s average high-end car has roughly seven times more code than a Boeing 787. Digital technology augurs change for the industry’s economic model. Over the past decades, automakers have poured their cost savings into mechanical, performance-oriented features, such as horsepower and gadgetry, that allow for higher returns. While it’s unlikely that regulatory and competitive pressures will abate, the shift from mechanical to solid-state systems will create new opportunities to improve the automakers’ economics. The ability to analyse real-time road data should improve the efficacy of sales and marketing. Digital design and manufacturing can raise productivity in a dramatic way: big data simulations and virtual modelling can lower development costs and speed up time to market. That should resonate with customers conditioned to the innovation clock speed of consumer electronics, such as smartphones. Common online platforms can connect supply and demand globally to increase the efficiency of players across the supply chain. 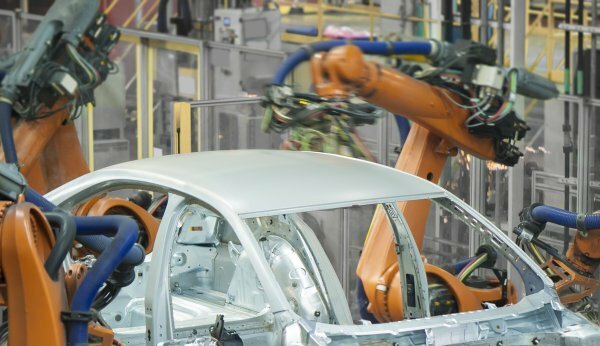 Embedded data sensors should enable more precise monitoring of the performance of vehicles and components, suggesting new opportunities for lean-manufacturing techniques to eliminate anything customers don’t value and dovetailing with the digitisation of operations to boost productivity, including the productivity of suppliers, in unexpected ways. As automobiles become more digitally enabled, expect connected services to flourish. When the demands of driving are lifted, even the interiors of vehicles may give automakers opportunities to generate revenue from the occupants’ connectivity and car time. Currently, human error contributes to about 90 percent of all accidents, but autonomous vehicles programmed not to crash are on the horizon. To be sure, some technological issues remain, emissions issues will linger, and regulators are sure to have a say. Furthermore, combining autonomous and non-autonomous vehicles in a single traffic mix will be a significant challenge. The most difficult time is likely to be the transition period, while both kinds of cars learn to share the road before self-driving ones predominate. The technology, though, is no longer science fiction. The possible benefits, by contrast, read like fantasy. If we imagine cars programmed to avoid a crash – indeed, programmed never to crash – we envision radical change. Passengers, responsible only for choosing the destination, would have the freedom to do what they please in a vehicle. Disabled, elderly, and visually impaired people would enjoy much greater mobility. Throughput on roads and highways would be continually optimised, easing congestion and shortening commuting times. Freed from safety considerations such as crumple zones, bumpers, and air bags, OEMs could significantly simplify the production of cars, which would become considerably lighter and therefore less expensive to buy and run. Automobiles could also last longer as collisions stop happening and built-in sensors facilitate the creation of parts on demand. 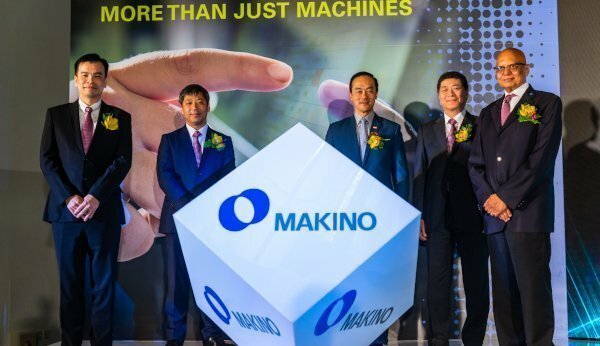 Makino Asia, a leading provider of machine tools used across various industries including automotive, aerospace, medical, semiconductor and electronics, showcased its smart factory at its regional headquarters in Singapore. The facility is designed to meet the growing demand for high-quality products and sophisticated precision engineering capabilities in Asia by adopting Industry 4.0 and the principles of Industrial Internet of Things (IIoT). The smart factory consists of an assembly factory and state-of-the-art machining factory, leveraging seamless automation and digital technologies to achieve high levels of productivity and connectivity between its robots, machines and other peripheral systems. The manufacturing sector in Singapore remains a key pillar of Singapore’s economy. It accounts for around 21 percent of Singapore’s nominal Gross Domestic Product (GDP) and 14 percent of the total workforce. Rapid technological advancements and digitalisation are changing the face of manufacturing. Developments in Advanced Manufacturing presents opportunities for companies to leverage on new technologies to drive productivity and growth. To gain traction in the aerospace industry, Australian manufacturer of rotary shank cutting tools, Sutton Tools, has been using linear motor technology. Article by Anca. Mr Boyd added that improvements in the surface finish of the cutting tools have been achieved by moving away from the traditional ball-screw movement on machines to a linear motor. The company also conducted a direct comparison and experimented with different grinding wheel grades and grinding parameters for the best finish. “A better surface finish has also mean we get better adhesion of the coating and stable performance to the cutting tool which is important for our customers. Tool stability is important because it means our customers can confidently forecast their production schedules and reduce machine down time,” said Mr Boyd. In order to validate their grinding methods, an optical 3D scanning technique is used to measure the area surface roughness on the rake face and the cutting rake on the tools. Anca has combined linear motion motor technology from its sister company Anca Motion to its own rigid grinding machines. The LinX cylindrical linear motors prevent loss of preload or rigidity when grinding tools and reversal errors are eliminated and higher contouring accuracy can be maintained due to a unique control algorithm. 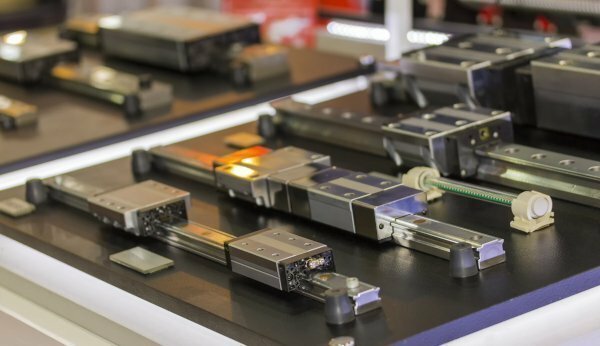 According to Market Research Future, the global linear motion systems market is expected to touch a whopping US$8.76 billion mark at a staggering CAGR of 7.8 percent during the assessment period (2017-2023). Various technological advents across the industrial spectrum have given rise to the need for a linear motion system (LMS) to enhance the operational process by having a continuous transfer of products. With industrialisation on the rise and people having more disposable income in their hand than before, segments such as automotive, food & beverage, packaging, healthcare, manufacturing and others are getting an unprecedented boost. Seamless processing, agility, efficiency in handling shock load condition, and safeguarding against contamination and moisture have made it the foremost procedure for several industrial verticals. 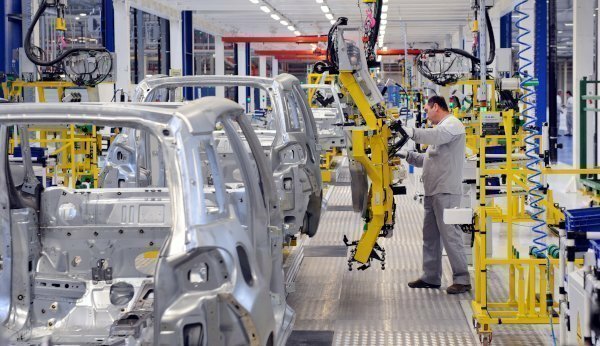 Automotive industry demands an operational technology which can deliver round-the-clock service of the highest level of accuracy without any variance. LMS fits the bill perfectly. Furthermore, advantages such as low maintenance cost and cost-effective production capability have helped it emerge as peerless industrial technology. Its compact size and load capacity help it attain versatility where it gets involved in productions of specialized vehicles such as ambulance, professional vehicles, fire trucks, telescoping trailers, and vehicles for disabled people. However, lack of product variance can impede the growth rate during the forecast period. Market competitors are offering LMS at an affordable price, but the option remains very limited for the consumers. Minimal errors and accurate positioning of equipment have made LMS a market rage in the healthcare sector. Its easy maintenance has been accepted widely across verticals. Features accounting for its high demand are hygiene standards, high performance, and durability of devices. The market leaders are trying to customize it according to the needs of the industry. Thomson Industries, Inc., has recently introduced T-Cas Linear Race Shafting that provides various benefits to automation manufacturers and can be considered exemplary. LMS is currently penetrating other markets such as wastewater management, shale gas exploration, and aerospace & defence. An exponential rise in the use of LMS can be seen in these sectors. The global market of LMS can be segmented based on type and application. Type-wise segmentation includes single-axis linear motion system and multi-axis linear motion system. Multi-axis linear motion system is leading the market and expects to grow at a rapid CAGR of 8.5 percent to reach a staggering US$5.70 billion mark during the prognosis period. Compared to single-axis, multi-axis is cost effective and can perform in diverse industrial platforms. Application-based segmentation comprises packaging, machine tools, palletising, robotics, material handling equipment and others. Machine tools dominate the market and are expected to do so during the assessment period with the fastest CAGR of 7.7 percent. The segment stands out owing to its requirement of high accuracy control. LMS also betters the efficiency of machine tools by implementing innovations and solutions. In doing so, LMS has become the favourite of the machine tools segment. APAC dominates the market and generates the maximum market revenue. China leads the region by making US$807.4 million in 2017 and is projected to grow with an impressive 11.1 percent CAGR during the forecast period. Japan and India follow the line. The presence of major sectors has boosted the semiconductor demand in the region owing to which the market is witnessing such growth. The global metal 3D printer market is estimated to value US$0.8 billion in 2017 and is projected to register a CAGR of 24.7 percent in terms of value over the forecast period till 2026, according to a report by Market Research. 3D printing is a method of making three dimensional hard substances from a digital file. It is the process of laying down successive layers of material until the object is shaped in the desired form, in an additive manner. Each layer can be seen as a thinly sliced flat cross-section of the eventual object and it is an extremely high-precision manufacturing procedure. Metal 3D printing offers various advantages over conventional manufacturing processes. With metal 3D printers, a range of products with varying designs can be printed and less materials are used which eliminates waste. Industries like aerospace, automotive, construction, medical device and consumer electronics are increasingly using this technology to produce components and parts. 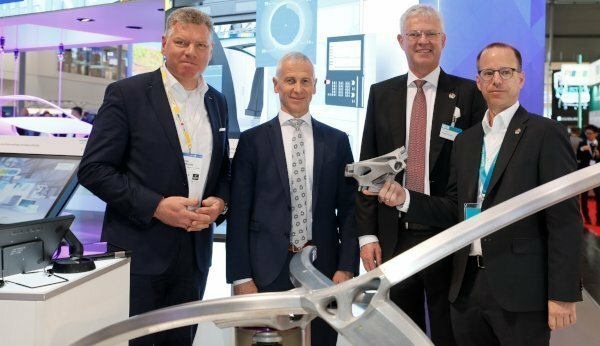 3D metal printing provides aerospace and automotive industries with lightweight components which increases fuel efficiency and enable customisation in medical device manufacturing. Furthermore, Asia-Pacific is forecasted to be the fastest growing market for 3D printing metal due to rapid industrialisation and economic growth which drives the automotive, medical device, aerospace and defense industries. All these factors contribute to the rising popularity of metal 3D printers. Key Players in the market include EOS GmbH, General Electric Company, SLM Solutions Group AG, 3D Systems Corporation, Arcam AB, Renishaw plc., DMG MORI AKTIENGESELLSCHAFT, The ExOne Company, Wuhan Binhu Mechanical & Electrical Company Limited, Xi’an Bright Laser Technologies Co Ltd (BLT), Wuhan Huake 3D Technology Co Ltd, Optomec Inc.
Vietnam Prime Minister Nguyen Xuan Phuc emphasised that development of the domestic automobile industry is necessary to achieve a self-reliant economy, during a meeting to discuss development of the country’s automotive sector. PM Phuc states that the government aims to increase localisation rate in automotive manufacturing and apply modern technologies during manufacturing processes as the industry moves towards the Fourth Industrial Revolution. Currently, more than 90 percent of car accessories and parts are supplied by foreign companies. The low localisation ratio and tax policies have resulted in high car prices which have hindered the development of the automotive industry. However, given the increase in income demographic and infrastructural improvements, the demand for cars are expected to rise. In fact, the automobile market is predicted to grow by 10 percent in 2019. As such, the government will continue to revise institutional framework and work on favourable, long-term policies for automobile manufacturers and enable more local enterprises to participate in the automobile production chain. 2019 will be a tough year for machine builders, with overall global machine production revenue growing at a compound annual growth rate (CAGR) of 2.1 percent from 2017 and reaching US$1.6 trillion in 2022. Year-over-year eurozone machine production revenues are expected to contract slightly by 0.4 percent in 2019. The Asia-Pacific region will grow by low single digits, as growth in China—the largest contributor in the machine tools market—is expected to remain in the single digits, at least until 2020. The machine tools category comprised 5.7 percent of all global machinery production revenue in 2019. After the global economic downturn in 2015, a short 5.5 percent year-over-year growth spurt in 2017 helped revenues climb to their highest level. However, the year-over-year growth rate fell to 3.4 percent in 2018. It is expected to decline by 0.4 percent in 2019. The largest downstream industries in the machine tool sector are automotive, with 25 percent of revenues, and consumer electronics, with 16 percent. The market performance of the machine tool sector is highly dependent on commodity prices, macroeconomic conditions and sector performance (e.g., automotive, construction, aerospace, and ship building). According to IHS Markit Economy and Country Risk (ECR) information, a global recession is highly unlikely to occur in 2019. However, due to weaker global trade, political uncertainties, and other headwinds, global machine tools production revenue will only begin to improve late in 2020 or early in 2021. The poor sales of automobiles in late 2018, and the downward-trending market for smartphones and PCs, is reflected in the latest sales and production revenue estimates from IHS Markit. Other broad, underlying factors for the downturn include a weaker global trade environment, increased geopolitical tensions, lower investor confidence and declining global vehicle sales. Furthermore, the top producing and consuming countries for this type of machinery—namely, Germany and China—have been hit especially hard by the industry downturn. In the fourth quarter of 2018, Germany’s manufacturing purchasing managers index (PMI) slipped to a 31-month low. The country’s total machinery production revenue is forecast to contract by 0.3 percent in 2019, with machine tools revenue growing at just 0.7 percent, year over year. Germany’s poor performance was caused by the global decline in automotive manufacturing. While it is difficult to isolate the main reason for the declining growth in this industry, changes in the way new vehicles are regulated is an obvious candidate. Although national stimulus policies have been enacted, and industrial upgrades have been implemented gradually, they have not done enough to offset the economic headwinds in China. In fact, IHS Markit forecasts that China’s machinery production revenue will grow only 1.4 percent in 2019, the lowest rate since 2015. Machine tools production revenue will also suffer, contracting by 3.7 percent in 2019. Good timing is often the key to a successful product launch. Despite the current declining economic conditions, the application of automated guided vehicles (AGVs) and AI in machine tools is expected to increase in the next few years. Some companies are more keen than others to strengthen their competitive edge during hard times. Robotic modules with robotic arms are also used to help cutting machines load, unload and move products and manufacturing components. Hybrid solutions are now appearing, that enable machines to form and cut at the same time. This ability is particularly important for production lines that need to save space, by minimising the machine footprint. With efficiency and precision in mind, proprietary AI systems can be used to constantly tune and optimise cutting machines in real time and without human intervention. These systems are smart enough to regulate cooling and power, which results in cost savings from less waste material, longer service intervals and reduced power usage. On top of all of that, cutting tools can be continuously tuned and adjusted to provide an optimal cut.